Traditional flutes range from single wooden ones to the zampoñas, or sikus, the pan pipes consisting of several to many individually tuned one-pitch flutes tied together between pieces of bamboo that hold them in a special order, high-pitched to low. These flutes and combinations have many names, depending upon their sizes and organizations. Pan pipes are the oldest, most distinctive of the pre-Inkan instruments. The so-called Inka flutes are the quenas and quenachos. but they are nearly as old as the pan pipes and like them are also made of bamboo. They are played from the top and have six or seven holes. The tarkas is a wooden flute with a mouth piece. Small transverse flutes are called the pincullos, with two holes in front and one in the back. The pito or whistle is a smaller pincullo with six holes in front and one in the back. Another kind of pincullo with six holes in the front and one in back is called the flauta. The kena or shepherd's flute, as well as the rest of the flutes, originally were all 5-toned. But over time the kena was developed in tonality to the flute that is played today. Ocarinas (clay flutes); various types of metal whistles; the huacrapucus (also spelled wakrapukus, and made from spiral shaped horns); and the pututus and k'epas (made from sea shells or animal horns), are other wind instruments. Then there is the bocina, an eerie sounding instrument made from a huge curled horn. As with the winds, there are a variety of stringed instruments. Most look like mandolins or banjos and come with different numbers of strings and in different sizes and timbres. One of the most unusual is the charango, a 10-stringed small "guitar." The name is a combination of Quechua "chajhuancu" (noisy, happy) and "charaancu" (dry tendon). The first strings were made from animal tendons and intestines. The instrument originally was made from the carapace of a "quirquincho," an armadillo-like animal, or turtle, clay, or even the chest of the condor! Experts believe that the charango was developed after the Spanish invasion and derives from the Spanish "laúd." Sometimes the head of the animal was dried and left on the instrument. Other charangas had a carved human head mounted where the animal's head was. Modern charangos are made from wood. Some musical groups also include the western violin, small harps and guitars. A diverse group. For rattles, the musicians use gourds containing seeds, with one type having small shells macramaed into a net around it, called chequerere similar to the African shekere. Other rattles are made from large seeds or sheep or goat hooves tied in groups. The palo de lluvia or rain stick has been adopted by many modern music groups the world over for its unique sounds. Then of course there are several types of drums: the tambor con charchillo, round with cactus spines tied underneath that vibrate, the Andean version of the western snare drum; the tinyas, small drums; and the bombos and wankaras, the large drums. Finally there are various sizes of sticks and claves, or clappers. Many people outside of the Andes are familiar with Simon & Garfunkel's version of this wonderful Andean folk song. However, if you want to see a webpage with the original 18th century Quechua version and the Spanish and English translations, plus Simon & Garfunkel's version, click on the above link. To see all the lyrics while the music plays in the background, scroll slowly down the page. All of the following recordings are CDs of Andean music that I own. Many are also available as tapes. Most can be ordered through the major online or local book and music stores. Color code: Hyperlinks in blue, or underlined. Names of the artists or groups. Album titles. Unfortunately, since these albums are 10 years or more old, many of them may not be available now (2016). Google the artists' names. Of all the Andean CDs I own, this is my absolute favorite, as I'm partial to harps and flutes! Although this music is of virtuosic quality and a sheer listening joy, there are no liner notes, and of the 22 cuts, only the first 11 are listed! The title cut, made famous by Simon and Garfunkel (although they didn't write it), is listed as number 1, but it's really number 3. LazerLight 15 163, Delta Entertainment. Unfortunately, this CD seems to be no longer available (2008). Order from: ANDESMANTA, P.O. Box 606, Bangall, NY 12506, USA. However, now their recordings are available in stores. • ¬ MOUNTAIN MUSIC OF PERU, VOL 1 - An incredible collection of recordings made in the field by John Cohen and considered the best anthology of Peruvian Andean music ever. These pieces range from ceremonial music of the isolated villages such as Q'ero to the more popular traditional music of coastal Lima. • ¬ TRADITIONAL MUSIC OF PERU 2: THE MANTARO VALLEY - Another Smithsonian Folkways CD and one of a series from various parts of Peru, this has the pieces arranged according to the types of activities that they traditionally accompanied. Music for agricultural labor, for building houses, for marking cattle, for marking sheep and goats, a funeral song and quite a few traditional dances. The accompanying notes tell which instruments were used for each piece. The Mantaro Valley, province of Junin, is northwest of Cuzco. • INKA SAMAI - traditional Aymaran and Quechuan music played by young people from Ecuador, Bolivia and Peru. • EXPRESION - this unusual CD contains chants, songs and other music originally recorded in the high Andean village of Q'ero by Mo Fini, with assistance from Oscar Nuñez del Prado, Juan's anthropologist father. 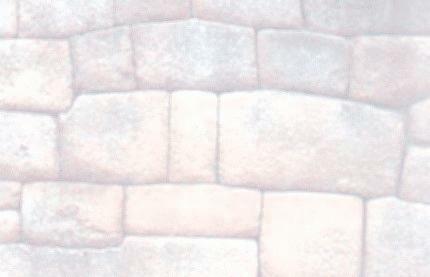 Later, in Cuzco, Fini contracted with a well-known group of Andean musicians, Expresion, to re-record the music. One of the dances contains three rhythms, one of which was supplied by Oscar Nuñez del Prado. • INTI RAYMI - This group takes its name from the most sacred Incan ceremonies, the Festival of the Sun. The group was started by Edgar Villarroel, who also has started several other groups, among them, Los Kjarkas (see below). The traditional Andean flute pieces on this CD were arranged for the documentary film, "Q'eros, the Last of the Incas." Excellent liner notes summarize Incan history and their view of the energetic universe. • INKUYO - a very popular group of three fellows who sing and play a variety of instruments, native and modern. Good liner notes. • LOS KJARKAS- Another popular Andean group of six men. No liner notes. A collection of pieces played with the charango, the Andean equivalent of a guitar. No liner notes, other than to explain what a charango is. Virtuosic performances! • UNA RAMOS was an Andean flute virtuoso from the northern Argentinian town of Humahuaca. As a child and teen, he became well-known throughout South American and traveled to Paris in 1972. Touring Europe, he came to the USA, where he met Simon and Garfunkel and collaborated with them. But he chose to live mostly in Paris. I don't know whether he is still living. • KHENANY- this group of five men and one woman produces a fusion of traditional Andean music with the tempo characteristics of their native northern Mexican music. They have played together since 1981. Liner notes explain only about the group, not about the individual pieces. • YMA SUMAC - The recordings of this marvelous vocal artist, a direct descendent of the Inka kings, have been reissued. Yma performed and recorded during the 1940s and 1950s, I believe. She possessed an astonishing 4-octave range. Although the sound has not been re-engineered, when one listens to her voice soar and swoop through this extensive range, one can be transported back to Inka times. There are two other albums, but I don't have them. Finding traditional music from the Andes is not very easy. So I'd suggest that you go to Amazon.com or other on-line book and music stores and/or your local book and music stores. Andean music is alive and well in other parts of the world. Individual Andean music groups have settled in specific areas and many groups travel the circuits of Native American Arts and Crafts festivals in North America. So check on these, as usually each fair that draws from the whole western hemisphere will have an Andean music group or two.